There will be a luminary display at the circle which makes for a fun and festive photo location! 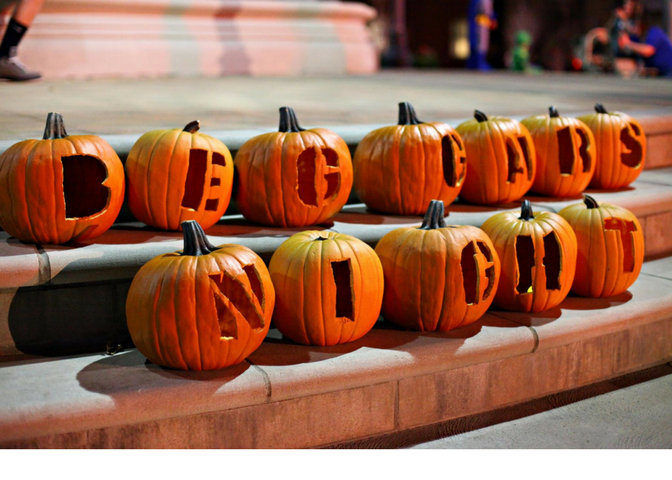 GREENVILLE, Ohio- On Thursday, October 26th, downtown Greenville will be transformed into a trail of Halloween treats for elementary school aged children. The Early Bird/BlueBag Media, Main Street Greenville and downtown businesses are pleased to bring this safe Halloween event to the community! There are many ways to join in the fun, including a costume contest and costume parade provided by The Early Bird/BlueBag Media. Anyone who chooses to enter the costume contest will walk in this parade, from W. 5th Street (next to Wayne Cinema), down Broadway and finish at the circle. The costume judging will take place at the circle. Cash prizes will be awarded in each of the seven categories of costumes, with first place winning $30, second place winning $20 and third place winning $10! 7:00 pm - Costume Contest Parade begins, will end at the circle. After costume judging (approx. 7:45) - Beggars' begin trick-or-treating! Also, there is a great photo opportunity available at the Circle with a luminary display. Don’t forget to stop by the Circle and take your pictures! Please no political campaigning. We ask that each participating business pass out kid-friendly items and not handouts or flyers. Only pre-registered businesses will be able to distribute candy during the event. Main Street Greenville is a non-profit organization that supports downtown Greenville, Ohio through stimulating and supporting revitalization efforts, historic preservation and economic growth.